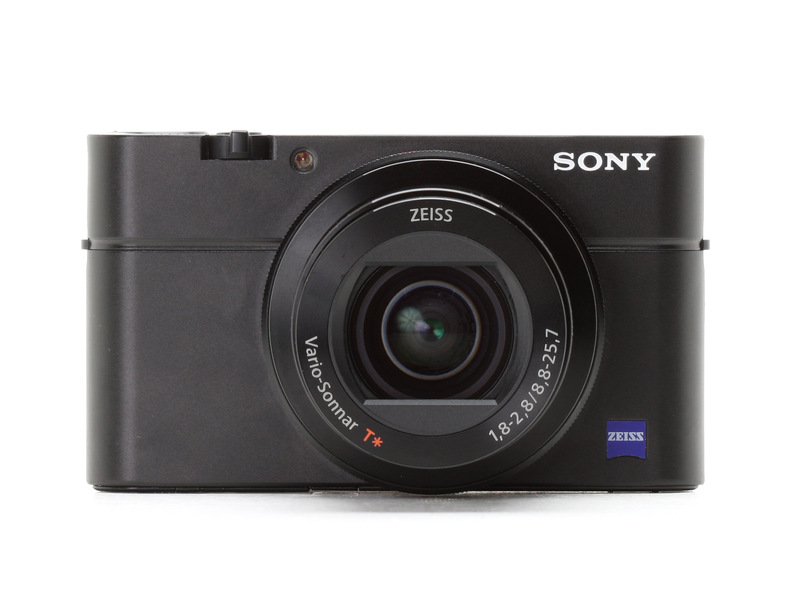 Few compact cameras have garnered as much attention as the Sony Cyber-shot RX100 and RX100 II. 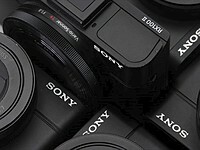 Sony had managed to squeeze a much bigger sensor into some cameras only a little larger than the Canon S-series enthusiast compacts. 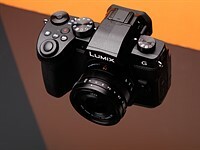 And, in common with the S-series and Fujifilm's XQ1 they struck a pragmatic balance between zoom range and lens speed. They could boast an F1.8 lens at the wide end of things, but were down to a less impressive F4.9 at the full extent of their zooms. The RX100 III strikes a balance much more like that of Panasonic's LX series - a more consistently fast lens and wider angle starting point, with the trade-off of less reach at the telephoto end. On the RX100 III, Sony is using a new 24-70mm equivalent F1.8-2.8 lens, which is both faster and wider than what was on its predecessors, though at the expense of telephoto power. When you combine its fast lens and larger-than-average sensor size, the RX100 III promises stronger low light performance and shallower depth-of-field at the telephoto end than most other enthusiast compacts. While the lens is no doubt impressive, the feature that will probably get the most attention is the RX100 III's pop-up electronic viewfinder which, as far as we know, has never been done before. Not only is it 'cool,' but it gives you the flexibility of having an EVF available at all times, without adding significant bulk to the camera. The inclusion of a viewfinder puts the RX100 III in very select company, even amongst enthusiast compacts. As mentioned above, the lens on the RX100 III is considerably faster than its predecessors, though the telephoto end of the lens now stops at 70mm, instead of 100mm of the RX100 Mark I and II. 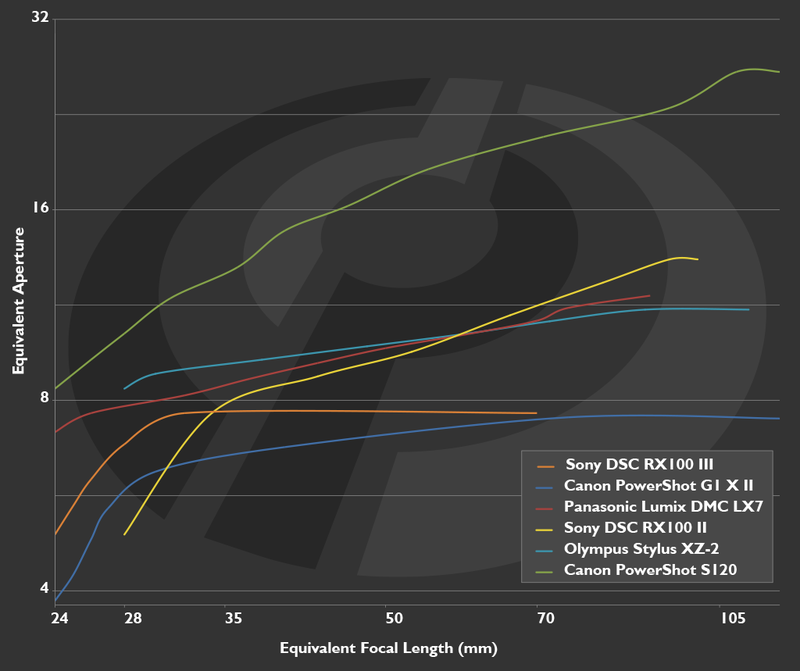 What's impressive, though, is how Sony was able to create a much faster lens with only a small increase in camera size. 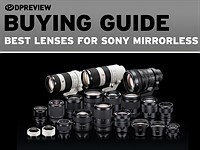 To allow those bright maximum apertures (along with the lower levels of diffraction and shallower depth-of-field they bring) over a broader range of circumstances, Sony has managed to fit in a neutral density filter. 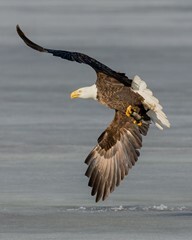 This can be engaged in bright light, when the 1/2000 sec maximum shutter speed isn't sufficiently fast. 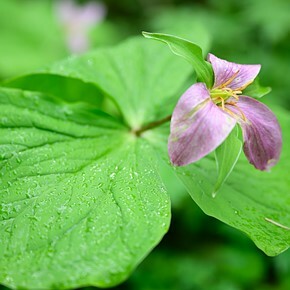 It also allows the use of wide apertures when using the long exposures that movie shooting requires. There's a lot more to the RX100 III than just the lens and EVF, though - especially when it comes to video. The RX100 II was certainly no slouch in that department, and the Mark III offers some major improvement. The first is full sensor readout, which allows for higher resolution video than your typical compact (or interchangeable lens) camera, a feature we first saw on the Cyber-shot DSC-RX10. The RX100 III also supports the XAVC S codec, allowing for 1080/60p recording at 50Mbps, which is a considerable improvement over the 24 and 28Mbps rates on the Mark II. The RX100 III can also output 'clean' HDMI video over its HDMI port. Something we didn't particularly care for on the previous two RX100's was the shooting experience. The user interface, cluttered controls, and, in particular, the 'clickless' wheel around the lens that gave no tactile feedback just took the 'fun' out of using the RX100 Mark I and II. While the EVF should make outdoor photography more pleasant and there have been minor tweaks to the UI, there hasn't been as much change as we were hoping for. Add to this the Bionz X processor, and all the features it brings, and the RX100 III represents a much larger step forward than we saw between the original RX100 and the II. 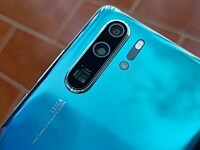 The Bionz X processor brings three main changes to the camera's JPEG processing: more subtle sharpening ('Detail Reproduction Technology'), that is aperture aware ('Diffraction Compensation') and context sensitive noise reduction. On top of this, the latest processor brings the two-line, 12-item customizable function menus we saw in the a7 cameras, plus 'Zebra' over-exposure warnings and a more sophisticated 'lock-on' autofocus system. Finally, the latest version of Sony's user interface includes the option to install PlayMemories Camera Apps onto the camera itself, adding functions such as time-lapse shooting. A variety of apps are already available, some of which are free, others of which must be paid for separately. We've already told you that the RX100 III's lens is much more ambitious than those of its predecessors, offering a much-improved maximum aperture range and a wider starting point (if you don't mind the drop in telephoto reach). Sony is immensely proud of one of the technologies it has developed: the combination of two aspherical lens elements. 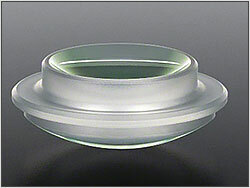 This has been key to allowing such a wide and bright lens to be built into such a compact design. The lens can focus as close as 5cm at wide-angle and 30cm at the long end of the zoom. Sony's optical designers have managed something that the company says has never been done before: bonding two aspherical elements together. Just like 'equivalent focal length,' equivalent apertures allow you to compare lens behavior side-by-side across cameras with different sensor sizes, by taking sensor size into account. The equivalent aperture figure gives a clear idea of how two lenses compare in terms of depth-of-field. It also gives an idea of low-light performance, since it also describes how much light is available across the sensor's area. However, differences in sensor performance mean this can only be used as a guide, rather than an absolute measure. Between 24 and 28mm, only the G1 X Mark II has a larger equivalent aperture. The RX100 II comes into play at 28mm, and it's actually effectively 'faster' than both the G1 X II and RX100 III at first. After that, the G1 X II stays in the lead across the chart, with the RX100 III keeping up until it hits the 70mm telephoto end of its lens. At 70mm, the RX100 III is more than a full stop faster than its predecessors. So when will you see this benefit? 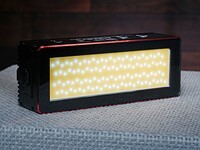 First, since the fast lens allows more light to hit the sensor, it improves image quality, particularly in low light. Also, the lower the equivalent aperture, the shallower the depth-of-field. While the RX100 III won't perform as well as the G1 X II in this regard (particularly since the Canon is at its best at longer focal lengths, which the Sony doesn't offer), it's still excellent by compact camera standards. 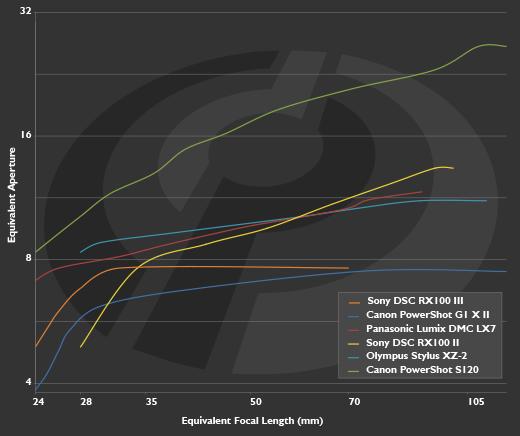 The 24-70mm lens range won't be to everyone's tastes, of course, and the graph above makes clear that 70mm equivalent means giving up quite a lot of reach, compared to its rivals (it never gets to the 85-135mm equivalent range considered ideal for portraiture, for instance). That said, 24-70mm has been a popular standard zoom range on full frame cameras for decades, so it's not exactly unprecedented, as a 'walkaround' focal length range. Does the camera come with editing software like photoshop? Can anyone advise about the RX100III's wifi and NFC capability re the possiblity to TOTALLY turn this feature OFF? Is this camera, due to a possible internal transmitter for wifi, 'trackable' like a mobile? What is the EMF level whether this capability is on or off? I can find no real info re this Sony camera? "It's quite normal for compact cameras to have soft edges or inconsistent corners...."
So it takes seriously great photos, amazing for a camera this size but sometmes the edges or corners are soft. And the explanation for why this is perfectly ok, as always, is that other compact cameras do the same. That's the price you pay for putting a 1" sensor in such a small body. If that bothers you go for a larger body. This page Studio Comparison is deceived. Rx100mk3 out sharply from all the cameras. This is a mockery. I rx100mk3 and this is the bottom. Through you, I did not buy the Panasonic tz100 because enter into comparisons terribly out of focus. This studio comparison spoils the opinions of cameras. I'm not sure what you mean by 'out sharply from all the corners.' By all means send me a personal message to discuss this. Hi, I'd like to ask existing users of the RX100M3 if they have used the monochrome modes and what there experience was with these modes. 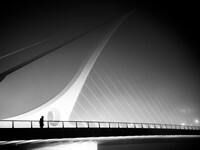 I was a keen black and white photographer and developer when I was at Uni (many years ago! ), I'm after a new travel camera and was hoping that the image quality of the RX100M3 would give me good B&W images and prints. Brad I would recommend shooting in colour raw always and everything from there in PS. Means you have some homework to do!! If not shooting in mono will always be acceptable, no matter what the camera, even the Leica Mono, what a waste of cash!! Had a chance to use one for a couple of days. So I could test it to see if it lives up to its "status". Yes the lens is sharp but the zoom is way too short to allow for good creativity. Colors SOOC weren't pleasing either. Yes it's fast, but ergonomics get in your way. Not convinced, and the price is still too high for what it is: a fiddly pocket camera. I already have Sony DSC-HX50V and bought Electronic viewfinder for that. Reason for this camera was primary 30x zoom. Does it make the sense to invest into RX100 III? Is this Aperture 1.8 in RX100 III versus 3.5 in HX50V and build less bulky viewfinder, even that I like the one I have. Looks to me as far better then the one in RX100 III. Also there is CMOS 1 versus 1/2. Not considering the viewfinder, but only Aperture and CMOS, what it will bring me? Is Zeiss optic versus Sony also something to consider? Is it worth the extra $800? Otherwise, I really have no problem with the old camera. As the second point. I am also considering Canon PowerShot G5X. In any case, if I get the new camera, I will keep both. Any help? Get the canon g5x! I have the rx100 M3 and M4; they are smaller and excellent, but the Canon is solidly made, has a really useful zoom, and is far more satisfying tool to use. The Sony technology is fantastic, but I prefer Canon's colours and handling. There! 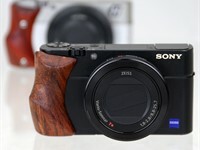 From what I see, this compact is worth upgrading from the first two RX100 models. But Sony issued the RX100 IV last year (I don't know how I missed it, but I learnt that there is RX100 IV several minutes ago). It costs a lot more (around $1000) than the RX100 III (Amazon, Newegg and Hardware.eu sell it for $700-800). Is it worth those extra $300-400? PS: I really like the device. Had no idea that the minimum shutter speed with flash is 1/2000. My NEX6 min with flash is 1/160. Just tried to take a picture of my cat exiting the litter box; the camera was in "A" and I just took the picture (I never use flash but the lighting required it). All I got was a blur and then I looked that the shutter speed was .5 seconds. Thought what would I get if I shoot in "S". 1/2000 of a second. This is really something. Base ISO is 125, though I think you can extend ISO (with a reduction in highlight range) down to ISO 80. Just as possible as it would be with any digital camera, ever: take out card, insert directly into laptop - or if no SD card slot in the laptop or the card isn't SD type, use an external USB card reader! Does your RX100s has the same issue? BTW, I post under M4 as well in case you miss it. what memory card should i use in this camera? In the Sony RX100 IV review, there was this nice graphic with types of cards and witch functions work on witch cards. Does the Sony RX100 III have any function limitations due to card type? Having only just purchased this camera,(to replace a Canon G10) I am still getting used to it.I haven't checked all the comments here, so excuse me if my comment has already been covered. I haven't seen in any reviews of this camera that using the built in flash, with the lens set at the widest angle and taking a close up, the extended lens housing produces a shadow at the bottom of the image.This doesn't happen if the lens is zoomed out. However, the greater the zoom the longer the minimum focus distance. I confirm that "with the lens set at the widest angle and taking a close up, the extended lens housing produces a shadow at the bottom of the image" and the shadow reaches almost the center of the photo. Very disappointed not to see an intervalometer included in the firmware. Interesting smartphone type apps feature - you connect the camera directly to the internet using its Wifi, then (using a PlayMemories account you've set up) you can see and download new apps to the camera. Not many yet, but a handfull of free ones. BUT 9.99 € for an intervalometer app (albeit a good one), I feel a bit ripped off. - Please add the option not to turn the camera off when pushing the viewfinder back down. - Please include an intervalometer in the firmware, or provide a free one in the apps. I think it would be helpful if DPR listed alternatives as part of these reviews. I am looking for a light weight travel camera with good video; however, I have Parkinsons so I have problems with shaking the camera. Stabilization is real important. I try to use tripod and remote as much as possible; however, sometimes you miss those spur of the moment shots. Does this camera have good stabilization? Does it have a remote? Any other recommendations? Love everything I read about the camera for my needs. Let me start out by stating that I typically respect and follow the intent of DPREVIEW's objective reviews- but- this was the most convoluted and good, but bad review I have read in a long time. I respect the someawhat constructive criticism and longing for this or that rendition of image processing/ functionality/ handling/ image quality etc. but come on! Taking pictures requires having a camera in hand- and to this end Sony deserves more even handed evaluation and less continual and constant criticism of every aspect of this camera. They might as well have compared it to the Nikon D4s as they compared it to competition not in the same realm (truly pocketable). I know DPR qualified all their in review comparison but really? I invite the critically minded viewers of this excellent website to re-read this review and disagree with my assessment. I'm looking for pocketable travel camera. GREAT review here of the RX100 III, but is there a better option for someone like me who never shoots RAW and doesn't care too much about video? I worry RX100-III is too complicated for someone who typically sticks with Scene or Program modes? For me a "Travel Camera" has to fit comfortably in a shirt pocket, or khaki shorts pocket (but probably not jeans pants pocket). EVA and flash are also required... and I really like the idea of flipping the screen 180 for selfies! (remember it's a travel camera). The stated RX100-III dimensions of 102 x 58 x 41 mm (4.02 x 2.28 x 1.61″) seem about maximum for my needs, compared to the wife's Canon PS SX130-IS that definitely feels too big (113 x 73 x 46 mm (4.45 x 2.87 x 1.81″). Can anyone recommend something even a little smaller, with EVF & flash of course.. oh and that 180 degree screen too. Try shooting RAW, you might find it has more benefits than hassles. I said that once but now only shoot RAW or RAW/JPEG Just get some good post processing software. The RX100 is very simple to use. I use it when I don't carry my 5DII around as it is pocketable. The only other one in its class is the Canon GX7 but from the review the RX100III is still better. The GX7 does have a flippable view finder. Not sure what you mean by flash as the RX100 has flash built in. 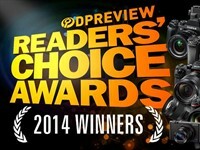 Best alternative is the Sony RX100 III. Get the new Sony DSC-HX90V. Sensor too small and lens to slow, stick with the RX100. - Scene and Program modes. If you do not shooting RAW, just use JEPG in the setup. Agreed, stick with the RX100. It is great cam with great image quality. When Sony introduced the RX100, I was in the market some a very good portable camera which I could easily lug around when not using my Nikon DSLR's. I purchased the camera and was not disappointed. I loved it! Then along came the RX100 MII where a hot shoe was added and I quickly upgraded. I loved it even more than its predecessor. I complemented my new purchase with a remote and the flash unit accessory. A truly great combination. With the unveiling of the MIII, I set out to compare and with a plan to further upgrade, but alas, I did not. The reason? Despite the enhancements made to the MIII, the omission of a hot shoe was a major disappointment. Sony certainly dropped the ball in this area. The end result is that I'll hang on to the MII indefinitely and until Sony hopefully reintroduces the hot shoe on the MIV???. Hope they do take heed. Sony did away with the hot shoe due to little use by customers and more people wanting and actually using the EVF. I wouldn't expect Sony to bring back the hot shoe on the IV given the type of camera and the EVF makes it far more valuable. Your comparing the RX100 III to the X100????? Sorry, but two completely different classes of cameras serving two distinctive purposes along with targeted to two entirely different consumers. OOOHHH YOU ARE RIGHT BUT WHY DO PH REVIEWS OFTEN COMPARE THE TWO CAMS ??? FUJI X100 IS A CAMERA BUT, IF WE CONSIDER IMAGE QUALITY AND NOISE, RX100 IT'S A TOY... INFACT I TOOK IT ONLY FOR ITS SMALL DIMENSIONS! I sort of disagree since i am fine with using the RX100 when I don't want to carry bulk/DSLR. Its a better camera since you have it with you. Of course size/weight are very personal decisions on what is small enough etc. 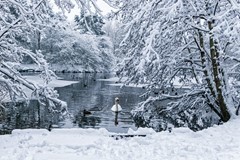 What a pleasant surprise to see my home town in your gallery! After this length of time, any more thoughts on the camera? 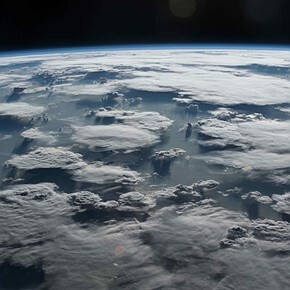 Especially, how about the dynamic range? Returned the other day mij RX100m3. Complaints? Just the optical steady shot. I could not get enough photos whithout motion blur in low light conditions, say at 1/20th or 1/30th. Now i've bought the Canon G7X and that camera has a much better image stabilisation. I'm happy now, but i will miss that electronic viewfinder! User error? What nonsense. Maybe i should have used a tripod, than the results would be immaculate. And no, i'm no Canon Rep. My other gear is Olympus OM-D M5 with excellent IBIS. Oh, and i am no Olympus rep.
Sony decided to leave out the Hot Shoe! What a major sorry decision!!! Am I the only complaining? And of course, every time they come out w/ a later model of the RX-100 they hike up the price astronomically. 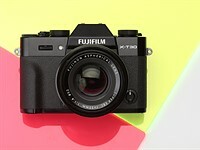 $800 for the RX-100 III? Thx but no thx...I will just wait for the competition to come out w/ it competitive version...probably a lot better, w/ a Hot Shoe and cheaper!!! I went to Best Buy today to purchase the Sony RX100 III today as I am taking a nice trip tomorrow. Neither I nor anyone in the store could turn off the screens highlight feature. I am experienced and have sold and used every kind of camera made. I think manufactures have gone nuts outdoing each other with as many features as they can cram in and there is no simple on/off for those you choose not to use. It took me months to learn my olympus em-5 and I can get great pictures but I still do not like the camera. Great lenses . 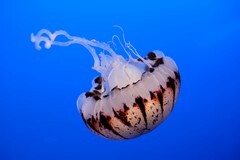 I also get great pics with an I phone. Most people are unaware that was what made the picture. For my trip I'll use the Em-5 and a 12mm, Fairly compact, and the iPhone. They're familiar. I might like the Sony but I want pictures not learning a new camera. J'ai reçu un RX100M3 à Noël, chanceux suis-je, je suis vraiment impressionné des qualités de ce dernier, vraiment à la hauteur de mes attentes, voir plus. I received a RX100M3 Christmas, I'm lucky, I'm really impressed with the quality of it, really live up to my expectations. 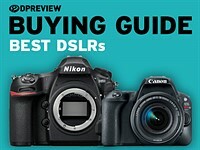 This has got to be the most nitpicky review I’ve ever read on dpreview. And as usual the out of camera jpegs are far better looking than the dpreview raw conversions, which always look noisy, anemic, and hdr-ish. 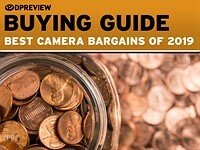 "At this point in time -it's the best pocket camera available." Perhaps readers here can help me with something. I have an older Canon point and shoot that for its time was a fine camera..still is OK. However my smartphone now bests it. I find myself taking a good many e-commerce shots now. Surprisingly, dp review really does not offer much in the way of macro mode performance as part of the review process. There are a few other sites that do seem to pay more attention to macro performance......( am sure you guys know them better than I. Anyway I thought I would find that this camera and the Canon G7X Mk2 would get decent marks for macro mode. Large sensors are not as advantageous shooting macro if I understand sensor size correctly and I figured one of those two would be a fine all around small camera with very good macro mode. But I find both have been roundly criticized for their macro mode even within their own category. You got to wonder why Sony seems incapable to make a cam with touchscreen AF. For the sake of competition I hope they get to work to build something with being interested in. And that uber-short lens.... so very limiting. Thankfully Canon has a class leading G7X. Does RX100 III have a digital zoom? If yes, is the picture quality compromised and if yes how much compromise in percentage? If any one can answer, thank you. The only reason this unit got Gold was due to having no competition at the time it came out. The new canon easily beats it in features and usefulness. Most ppl are fine w lcd shooting these days. And to not have a touchscreen nor touchscreen AF....in this day...is clearly behind the times. B-. I dont think so. Its just not that kind of camera and te Finder is far more useful. 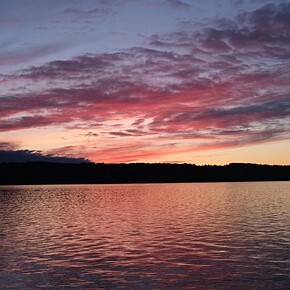 If you're over 40 shooting with an LCD - particularly with a pocket camera - is often nigh impossible. I will buy this camera (to replace Canon S120) for the EVF alone. No way. I bought both and used them side by side and even one year after it's birth the MKIII Sony still beats out the G7x. Most noticeably in performance. It's way faster and more accurate. Battery life was nearly 50% better too. Lastly, the EVF is most welcome. It was sunny the past few days and it's way easier to use than an LCD Only camera. Helps steady your shots too. Lastly, if you wear glasses or are in need of readers it makes seeing things a lot easier too. I shoot concerts and need a camera that is silent and not unduly visible. Is the RX100 III silent when shooting, changing settings, etc? Can it be set to have no visible lights, flashes, etc? I read that the focus aid lamp can be turned off... good. Can the screen be blackened while using the VF to shoot? YES to all of those. Use the Finder, switch of the screen and AF assist. Dont raise the flash and nobody will see or hear you snapping away!! I hope you, or someone knowledgeable, will take the time to tell me what the difference is between the Sony camera rated here, and a Sony RX100M2. I had the MkI, the II and the III. The III has: an eyepiece finder (electronic) which pops up, longer zoom, faster lens, flash pops up in the centre rather than at the side, and popping it up activates flash mode. WiFi functions extended. Better video. Better layout of Function commands when FN pressed. A few other good things. BUT I am not convinced that the image quality in JPEG isnt a bit worse than the MKII. It seems a bit rough and sharpened rather coursely. I am still experimenting with settings but I feel this might be an issue. 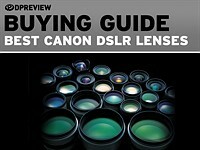 Today I received an email from Sony requesting that I…’ Help other shoppers by writing a review about the dsc-rx100m3’. There appears to be more than enough positive things to said about the product – so I thought I would offer my reflections upon another aspect of the Sony experience. Have you noticed that wherever you look; the purchase the price is almost identical… The resultant impression is that RPM (see Wiki) seems to be employed? 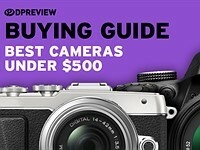 I found a local stockist who, while offering the rx100m3 on his web site could NOT publish any price BUT the full RRP. He could discount it (marginally) across the counter but if he published this marginal discounted price on his web site, Sony would remove him from their list of stockist! Now I am not saying what Sony are doing is illegal (I suppose that would depend on the laws of the country) but it does seem very, very heavy handed and creates the impression that they are trying to influence the market. I will leave you to be the judge……? Richard Butler "You're welcome to your opinion but I'm struggling to think of any clothing I own that has pockets that can fit a Sigma DPm." 1st the often used "YMMV"; now we have "YPMV" (your pockets may vary). Anyone have an LL.Bean catalogue they can send him? I really looked forward to adding this camera to my arsenal. I purchased one a couple of months ago. Images and video were of high quality IMO. They were even good in low light conditions. After a few days though I returned the camera (the store had a no hassle return policy). This camera is somewhat difficult to hold without any type of built-in grip. Someone else in this forum described it like holding a bar of soap - I somewhat agree. Also your left hand may normally rest where the diopter sight is located which for me was problematic when it was in use. Also, I didn't get much out of the zoom lens. I think that this camera would be better with a fixed lens - you also wouldn't have to wait for it to go through its motions of extending and retracting the lens each time the camera is turned on and off. While this camera was really of high quality IMO, it isn't a 'comfortable' camera to use. Are there any upcoming products with similar form factor and features worth considering? To make it easier to hold, you can buy the AG-R2 grip from Sony for $15. It sticks onto the front-right of the camera, attaches easily, looks fine, and works well. As to your other observations, I have not found them to be an issue in my use of this very nice camera. Yes, the stick-on grip is cheap and perfect, in fact it should be included. IMHO it is required for one-handed use. It's fast enough; definitely faster than the S95. > I had an RX 100 and loved it, especially as I could photograph in RAW + JPG in black and white (see my square BW images on the screen and know I could always go back to the full-frame color RAW image if needed. Now, the RX 100 III does not authorize the recording of the RAW image wit the bw JPG one. 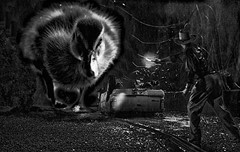 If one shoots JPG bw one only gets the JPG bw. In my opinion this is a very stupid change in software for a camera that taps into an audience that would rather use raw and the possibilities of multiformat BW images (while photographing, and NOT in front of one's computer) than their cell-phones. Kinda ludicrous move!!! Is the rx100 fast at taking pictures? I have a canon S95 and ready to upgrade to something better but I would like a point a shoot that can take pictures quicker than the S95 with and without flash. From the time I press the button and when the pictures get taken. Cell phones drive me crazy since theres such a delay for the autofocus, always miss the picture moment. Yes - its super fast on auto. 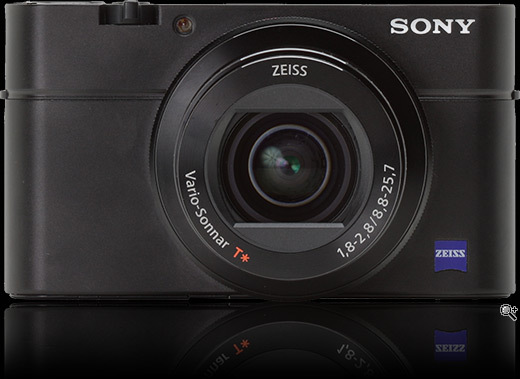 SONY Can you please bring out the RX100 4 T.I.T.S. so we can finally have a decent compact camera which finally includes telephoto, including timelapse and shitt. tbh my one +1 has better features. I just had to rip out the sim. ??? between an apple and an apple? If you hold down the on/off button while you close the EVF the camera will remain on. You might find that useful. No , Relinquis ! This doesn't work !!! If you push down the EVF and then immediately push the power button, then it will first finish closing and then re-open... a time consuming solution at best and essentially you are just turning it on again. I does work! It does not retract the lens, the screen blanks out half a second then ready! Image quality is amazing. It would have been nice if in any of the many reviews raving about the camera that they mentioned that you can't use the viewfinder if you wear glasses. It must be so obvious that it does not get mentioned. However if you are nearsighted and wear glasses it is a waste of time to think the view finder is something you can use. What is it about the viewfinder you find unusable? I wear glasses and didn't find it a problem. I wear Glasses too, and I didn't have a problem either. Did you find the diopter adjustment lever? i wear glasses and have no problems... there is an adjustment on the viewfinder that you need to tweak, like a dioptor. Out of the box mine was all the way to left, and looked hella blurry but once I tweaked it near center the EVF is easy to see. "the RX100 III offers the best image quality of any pocketable camera we've ever seen." We have seen the DP Merrill, wouldn't consider it pocketable in the same sense and couldn't make broad-ranging statements about its image quality (no matter how much you may like some aspects of its IQ, it should be apparent that you need to include some caveats). You're welcome to your opinion but I'm struggling to think of any clothing I own that has pockets that can fit a Sigma DPm. At which point, I stand by my statement about image quality. The lens is very good for a zoom, the Raw dynamic range and noise characteristics are genuinely class leading. Camera comparisons are often apples and oranges, which is to say, there are always trade-offs. The companion to the axiom is, the trade-offs you like best are not usually available for a song and dance. Me, I have a hard time loving any camera I can stick in my pocket even when so many "things to like" make for a compelling package. The RX100-iii is a very tempting concoction indeed. The aperture handily counters the ISO limit. The Sigma does little to sway me because I already have a camera with prime lenses that satisfy immensely. 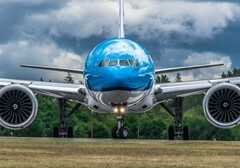 The lack of zoom on a handy-size photo shooter misses the target. The Sony can be an awful lot of things to many people. The bang for the buck is a benchmark. The Sigma is niche. I´d say RX100 III and DPm is like VW Golf GTI vs. Caterham Super 7: it is obvious Caterham is faster, provides much more driving pleasure and involvement... on sunny days on dry road. Since it has no roof it is a car you cannot really use anytime but only in good weather. Wheras Golf is a universal car without any caveats. Of course it is not so fast, not so fun to drive, but it is still very fast and what is more, it is usable all year long. 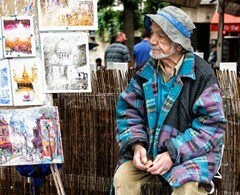 Sigma DP with its usable ISO 400 maximum and f2,8 is only a camera for the sunny days. When there is lets say 3 EV of light on the scene your Sigma is useless, unlike the RX100. So Sigma is just like the Caterham: unbeatable in ideal conditions, unusable in any other. That's a fairly accurate analogy. Of course the Sony is a compromise as well. I had to laugh when I read the DXO review on the RX100 II and they compared it with the Nikon 1V3 and gave it a considerable higher "sports" rating. No photographer in their right mind would use the RX100 II (or RX100-III) for sports while the 1V3 can be an exellent sports camera since it takes virtually the entire line of Nikon lenses, has superb fast autofocus, etc. It's all a compromise. The DPM Sigma cameras take superb landscape and super high resolution images for their intended use. I'm certain that the RX-100 III will be very successful as a general purpose tool, but the IQ isn't remotely comparable with the Sigmas. The car analogy feels good to me. Are we a class of gizmo freaks? Cars one day, cameras the next? I also agree that the Nikon 1 is the best for sports photography of the one-inch category, although I am not sure that is saying much. If you already had lots of Nikon lenses well suited to sports (lots of bucks, yeah?) why would you not use a DSLR body? So, for me, the sports worthiness of the 1 series is candy for somebody who is not thinking clearly. Your point is correct. In a sense it is six to one half-a-dozen to the other in the situation noted and many others too. There are a minority of situations where the bigger sensor with faster and much more expensive glass will give a superior result. What percentage of the time that turns out to be the case varies, and what you are willing to pay for it, they are individual questions that will be answered differently. As I am a three-camera person, I look to the one-inch category solely to provide a range-finder style, second camera. I don't need a one-inch camera with interchangeable lenses or sports credentials. Some people prefer a one-system setup. That's fine too. Is there something strange going on with the NR on the M3? Looking at the noise samples on p. 11 of the review, the M3 does very poorly compared to the M2. Look at the highest ISO12800 setting, and the difference is shocking! Performance compared to the mark II is worse not sure this is what you were expecting but that is clear. Flash diffuser question -- I have been using the original RX-100 since it came out, and have found that it takes great pictures, but using the flash indoors never produces good pictures unless (1) I bend the flash back (which sometimes works if the distances and angles work out correctly, but sometimes produces unevenly lit or underexposed pictures) or (2) I use a Ping-Pong ball that I have cut open so that I can fit it over the flash as a diffuser (which actually works pretty well, but I always have to explain and defend why I'm fooling with a Ping-Pong ball). Is there a more elegant way to improve flash performance that I'm missing? Will the RX-100 III require the same fiddling to try to get a decent image with the flash? I'm running out of Ping-Pong balls. On the MK II and MK III you can pivot the flash upwards to 45 degrees so it reduces the light hitting the subject and can give you some bounce from a ceiling. I have done this a lot with the MKII, using my left hand to pivot the flash, while the right presses the shutter. You can still do this on the MKIII but its a little harder as the flash is in the centre not the left hand side as on MKII. LOL... this was not obvious, but I just tried on mine, and yes, if you physically hold the flash with your finger at an upwards angle while shooting you can simulate a bounce flash. you can't lock it at an upward angle, but you can tweak it with your finger. thanks for the tip! With the changes to the video - XAVC and no more Dolby - is it now possible to edit video in Photoshop CS6? I am not sure how the comparison has been done but having just done it myself side by side on video it looks like the Mark III is a clear step back compared to the Mark II to the point I actually returned the new one.